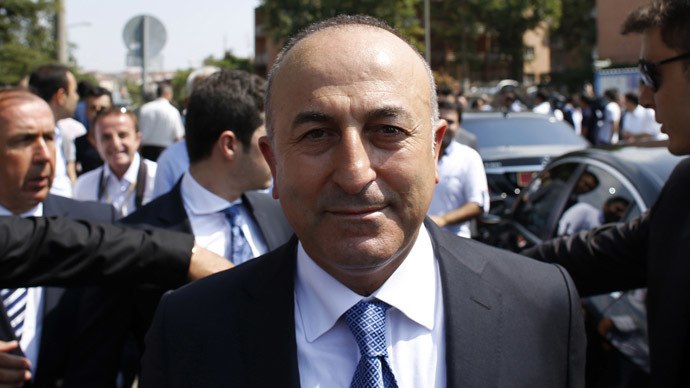 “I was going to attend the conference but we decided not to after they added Israeli officials to the Middle East session at the last minute,” Mevlut Cavusoglu told a news conference in Berlin on Friday. Israel's delegate to the Munich conference, Strategic Affairs Minister Yuval Steinitz, retorted that Turkey was “effectively identifying with radical Islam and terrorist groups like the Muslim Brotherhood and Hamas” by staying away from the Munich conference, Reuters reported. Ties between Turkey and Israel have been deteriorating for a long time due to Turkey’s ongoing criticism of the Israeli stance on Gaza. The relations took a plunge nine after Turkish activists were killed by Israeli commandos who stormed Turkish ship Mavi Marmara carrying humanitarian aid to Gaza in May 2010. In January the Turkish Prime Minister Ahmet Davutoglu compared the Paris terrorist attack on Charlie Hebdo magazine headquarters with Israel’s bombardment of Gaza. “Just as the massacre in Paris committed by terrorists is a crime against humanity, Netanyahu, as the head of the government that kills children playing on the beach with the bombardment of Gaza, destroys thousands of homes...and that massacred our citizens on an aid ship in international waters, has committed crimes against humanity,” Davutoglu said. Davutoglu’s words come after Turkish President Tayyip Erdogan criticized Israeli Prime Minister Benjamin Netanyahu for “daring” to attend an anti-terror rally in Paris after the attacks. In return Netanyahu accused Erdogan of hindering the war on terror. “I believe his shameful remarks must be repudiated by the international community, because the war against terror will only succeed if it's guided by moral clarity,” Netanyahu said in a series of tweets. The International Criminal Court (ICC) ruled last November that it had “a reasonable basis to believe” that the killing by Israeli forces of the nine Gaza Freedom Flotilla protesters in 2010 was a war crime but the event in itself was not of“sufficient gravity”to justify further action by the ICC.